I love a posh aromatherapy blend like Aromatherapy Associates, but my budget doesn’t often stretch. However, if I have treated myself, then I hang onto the bottle as you see here and use it to make a blend to take on holiday. This bottle takes 55 mils which is perfect for taking in your hand luggage. I’m off on a cruise soon so it’s time to get creative! I’ve made a blend which is deeply relaxing and the first thing I’ll do when I get to my cabin on Celebrity is step in the shower and zing the place up by putting a glug of oil on a flannel and taking it in with me. It will make the whole cabin smell wonderful. I’ll use it mostly as a body oil and make sure I give my feet some TLC with it at the end of the day as I plan to do a lot of walking. Frankincense (Boswellia carteri) this works on an emotional as well as physical level which can help you move on when things have been tough. Just what I need right now. Its action is to relax you and slow down your mind. Physically it also helps to relieve coughs and sore throats and if you’ve ever been on a cruise you will know that the aircon can make your sinuses a bit dry after a few days, so using this in the shower and inhaling the vapour will help counteract any scratchiness. Lavender (Lavandula angustifolia) is hypotensive, so lowers blood pressure to aid relaxation. It’s also an insect repellent – very handy for a holiday in the Med. Bergamot (Citrus bergamia) is an uplifting oil which has a comforting action. It’s important not to use this essential oil on your skin when out in sunlight as it can cause sensitivity, but as I’ll be using it in the evening, this isn’t a problem. If you would like to make this yourself, you need 50 mils of a carrier oil such as sweet almond or grapeseed. For a 50 mil bottle I use a 3% dilution which means 30 drops of essential oil. Up to you how you vary the blend, but I have used ten drops of each. Don’t be tempted to add more as this is plenty strong enough. Add the drops to the container with your carrier oil and give it a good shake – then you’re done. PS I qualified as a clinical aromatherapist in 2005 and this little book that you see is my bible which I took notes in during the course and I’ve referred to ever since. 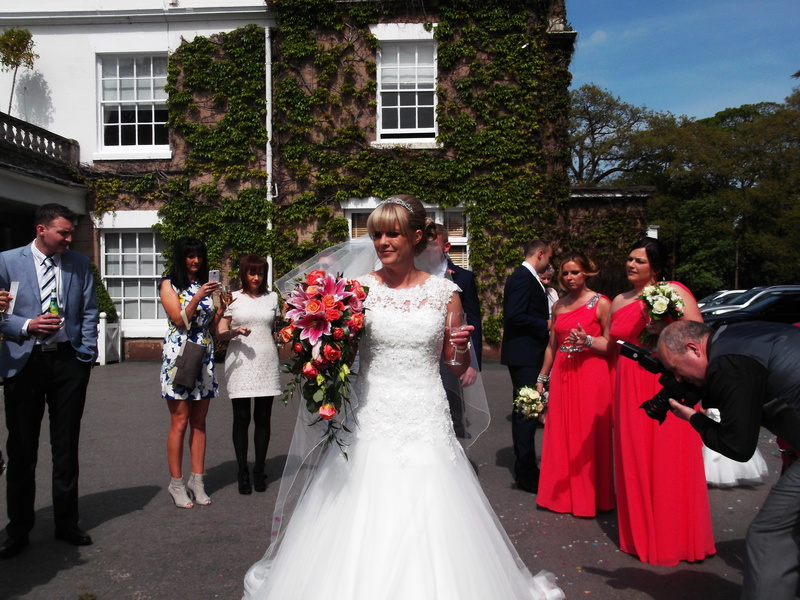 Last weekend we were at the fabulous Cheshire wedding of my God daughter Gemma and her new husband Craig. 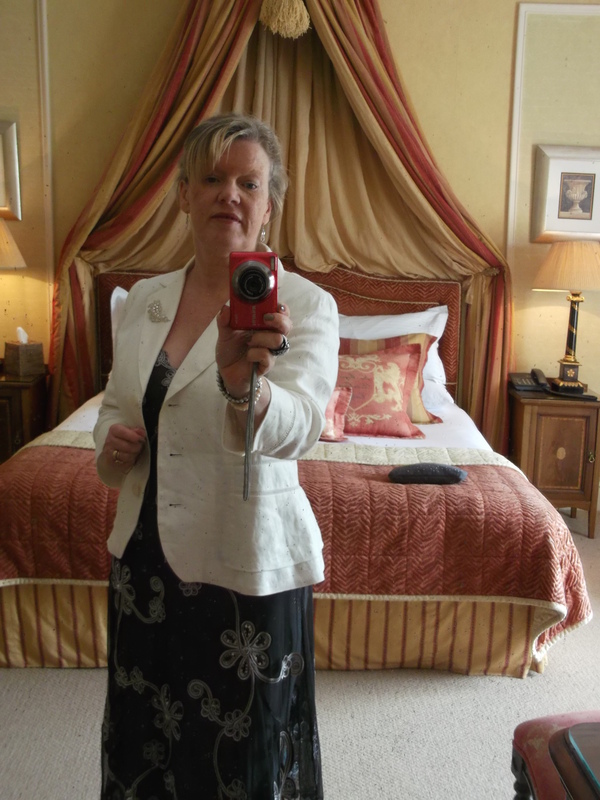 The setting was the sumptuous Rowton Hall and we partied all day and stayed overnight to enjoy the fab hotel. So, what to wear for a wedding? I went for one of my ‘go to’ labels for dressing up, Phase Eight. I have a few Phase Eight pieces in my wardrobe, but, confession time, this one came from a charity shop for a tenner. 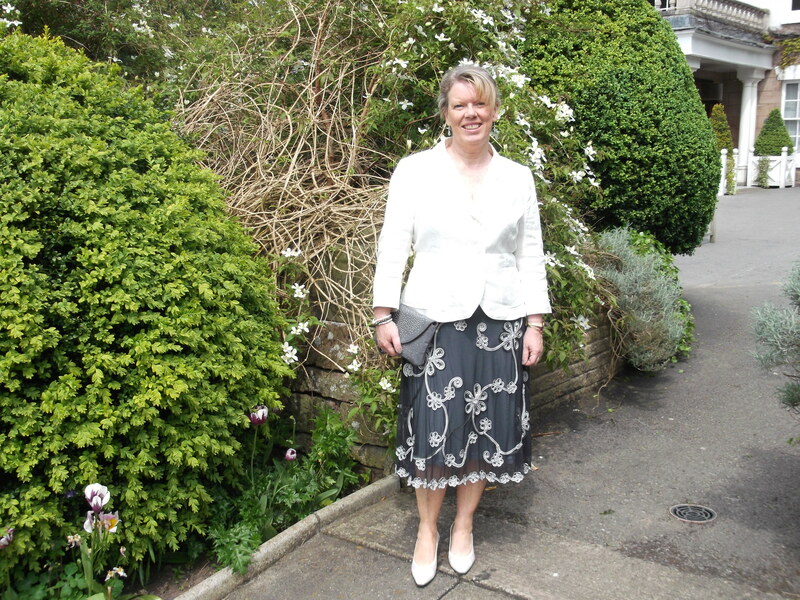 The cream linen jacket is from M&S and the shoes are Gina, also from a charity shop. I love the grey clutch which I bought in Century 21 when in New York last year. 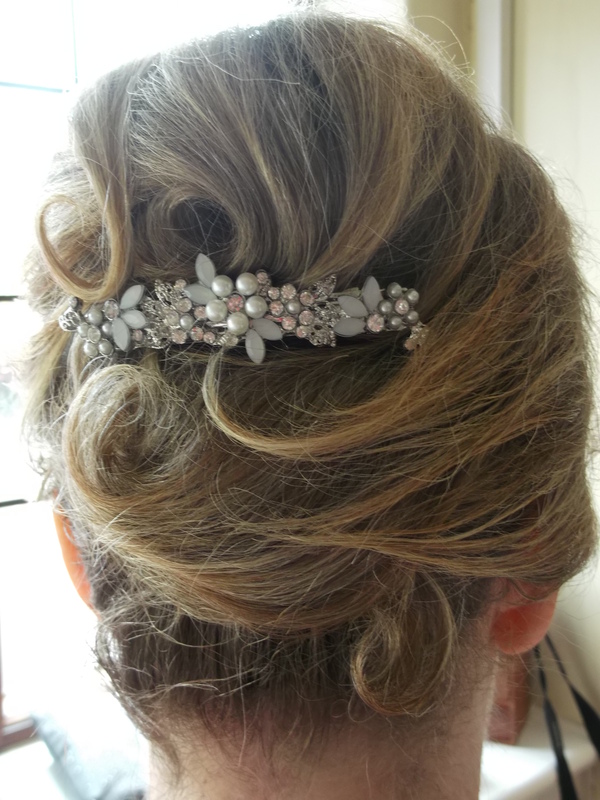 I’m a bit shy of hats, so instead, had an ‘up do’ with this fab comb from Boots. The mother of the bride. 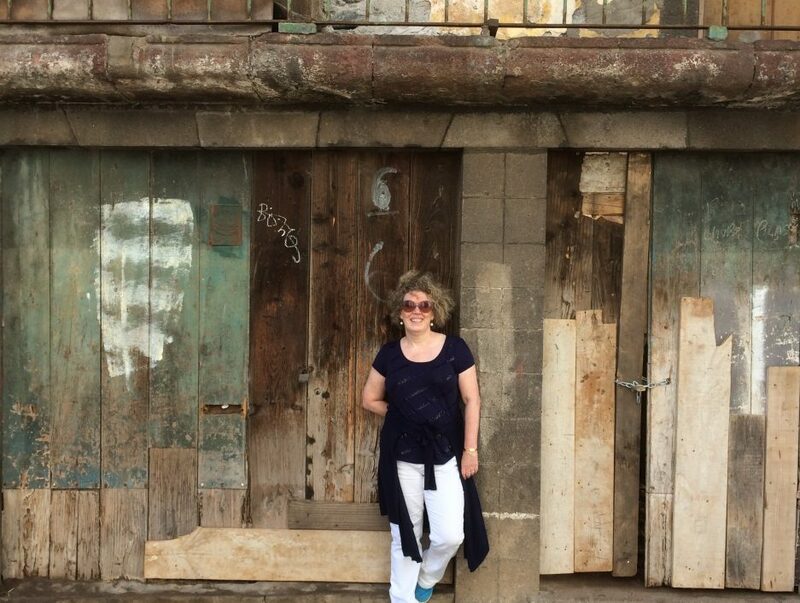 Linda, my best friend, is looking amazing here in a John Charles designer outfit, from Imagination, a boutique in Tarvin, Chester. 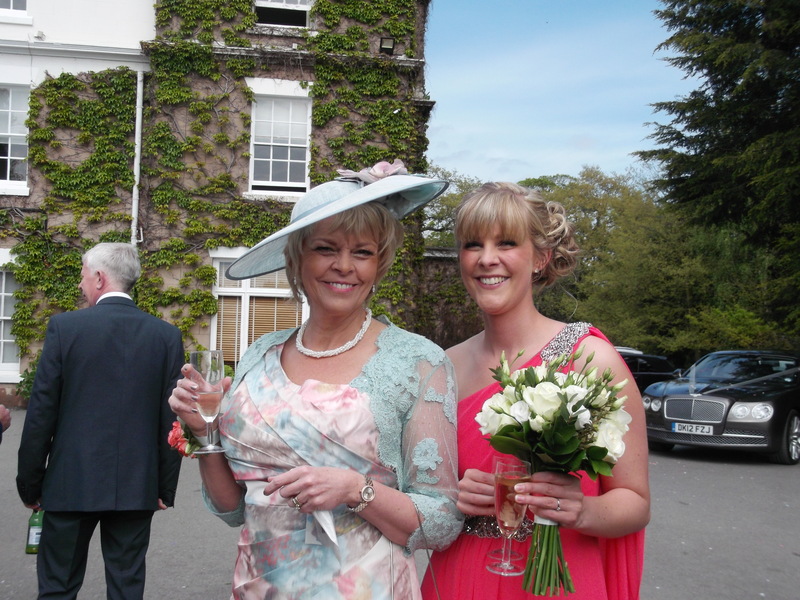 Linda’s outfit is beautifully matched with daughter Louise in a peachy bridesmaid dress, from Debut at Debenhams. Now, I guess you want to see the bride? Gemma looked radiant and swished her way through the day in this beautiful dress from the Ivory Lounge in Chester. This is a sneaky peek at our bedroom in the hotel. Lovely squashy bed and Aromatherapy Associates products in the bathroom. Heaven! Who doesn’t love a wedding? 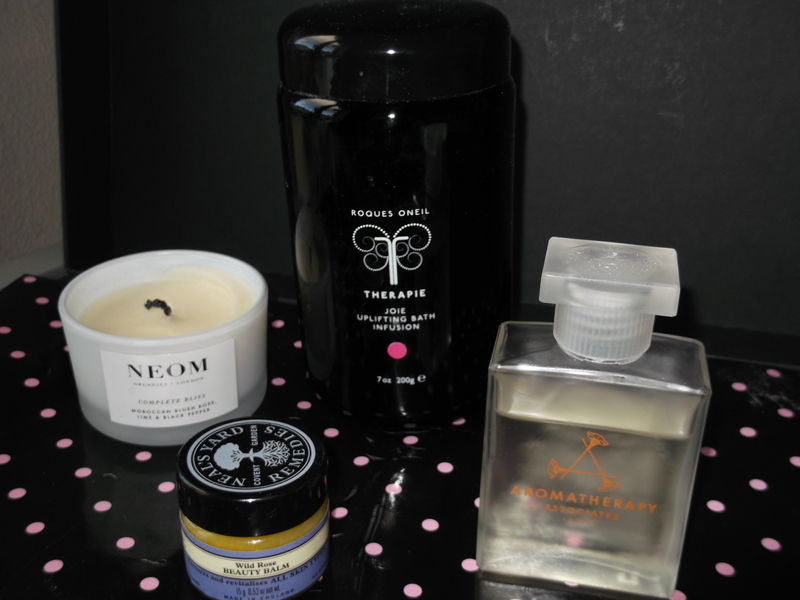 The one thing that’s guaranteed to send me to sleep is a relaxing bath-time aromatherapy extravaganza! I trained in clinical aromatherapy, so have more than a passing interest in the properties of essential oils, but it has to be said, I do love a good pampering session! These are some of my favourite products. I’m a huge fan of this Aromatherapy Associates especially after hearing its founder Geraldine Howard speak so powerfully at a conference for the International Federation of Aromatherapists. A few drops of this in the bath and you’re in for a real sensory experience. It contains soothing camomile, petitgrain which is a nerve tonic, and frankincense which acts as a sedative. Surprisingly, it also contains rosemary, which is a stimulant, but in this blend, it acts to clear the mind. Just what you need for a great night’s sleep. Rose is the most feminine and balancing of all essential oils and is by far my favourite. I massage this balm into my face before I get in the bath then let the steam do its work. I take it off with a flannel and my skin feels beautifully revived. This sandy saviour make your bath look like the car after a Saharan storm, but as long as you don’t mind giving the bath a wipe down afterwards, then it really does deliver on the relaxation front. It contains the sedatives frankincense and cedarwood, both of which are used in meditation so the hot steamy bathroom takes on a real exotic spa feel. The black glass jar is super stylish too and looks great in the bathroom. I’m easily seduced by rose and no relaxing bath is complete without a candle. It takes a few minutes to really get the aroma going so I light it in the bedroom while I potter about getting ready for my bath and afterwards the whole upstairs smells amazing – like the spa of a swish hotel. 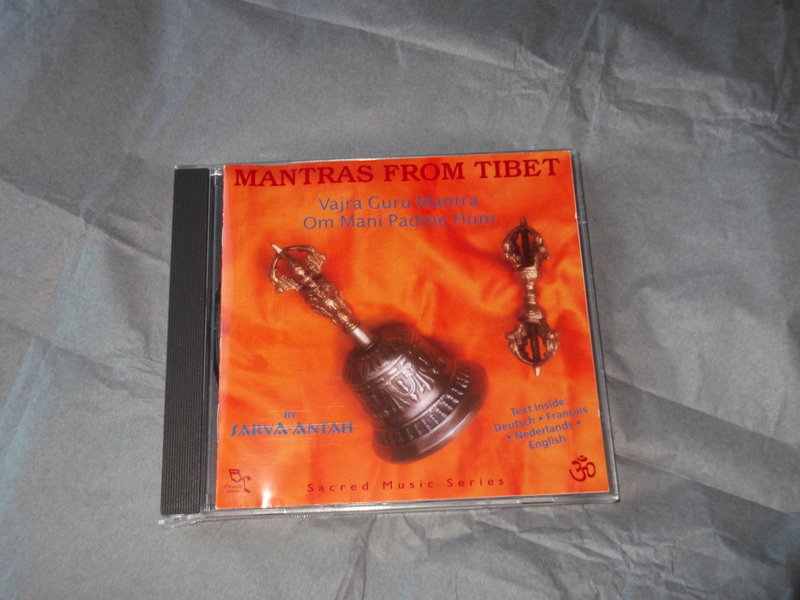 All you need now is music and my favourite is Mantras From Tibet.